RB Tech is a telecommunication system, testing & monitoring, and network optimization provider which specializes in providing technological solutions in network synchronization, auditing & optimization as well as product testing & monitoring and quality assurance. Our workforce comprises of highly skilled, well-trained staff with optimum project know‐how and competent experts in their respective fields that are always able and ready to present and implement reliable, complete, accurate, speedy, competitive, and cost-effective technological solutions to our clients. The primary objective of RB Tech is to become the leading proponent of telecommunication in the Middle East by understanding our client’s needs and expectations. To provide solutions, products, and services that consistently exceed those expectations. We recognize that our clients expect these solutions, products, and services we offer are in an acceptable level of quality, competitive price and within an agreed time period. “Timing and Synchronization has been a major project of RB-Tech to all Telecom company in the Kingdom. 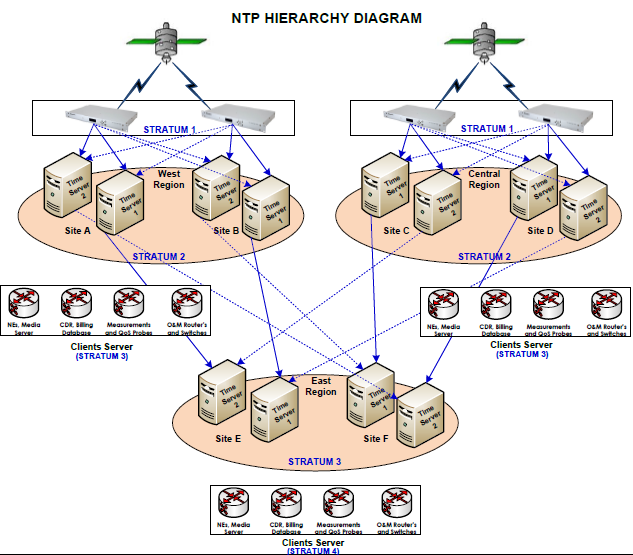 It has provided the platform for Frequency, NTP, and PTP Synchronization to clients network. 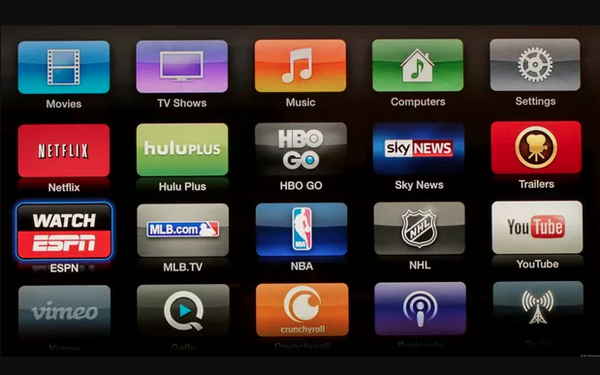 Part of the services offered is from planning to Layer 3 support of Synch network”. 1.Precision Time Protocol (PTP 1588V2) The protocol used to synchronize clocks throughout a computer network. On a local area network, it achieves clock accuracy in the sub-microsecond range, making it suitable for measurement and control systems. PTP synchronization delivers Frequency, Phase and Time in Mobile communication like 4G LTE, LTE Advance, and 5G. Proof of Concept is regularly conducted for our clients in order to acquire the necessary date for planning. 2.Network Time Protocol Network Time Protocol, and it is an Internet protocol used to synchronize the clocks of computers to some time reference. We have design and installed Time node for our Telecom client. 3.Frequency Synchronization Provide Atomic clock as Primary Reference Clock, SSU (Synchronization Supply Unit), SDU (Synchronization Distribution Unit) to all clients for their TDM and Ethernet Networks. SA 5401 Syncplug™ provides a cost-effective migration path for deploying robust phase and frequency synchronization near the network edge. It offers flexible deployment through integration into existing network elements. The timing-optimized, dual-frequency GNSS receiver achieves excellent performance even in urban canyons. Design and network redundancy techniques provide resilience against local GNSS jamming. 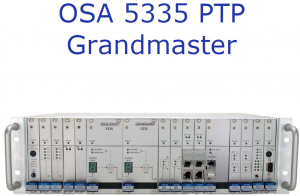 The OSA 5335 Modular PTP Grandmaster is a scalable and high-performance IEEE 1588v2 standard compliant Grandmaster Clock for distribution of frequency, phase and time synchronization over packet-based network infrastructure including IP/MPLS, Carrier Ethernet, PON and DSL networks. Its carrier-class design provides high client capacity and a wide range of redundancy options to deliver scalable performance and maximum availability. 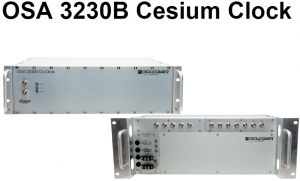 The OSA 3230B is an autonomous and self-contained Cesium Primary Reference Clock Source based on a Cesium beam tube, which is specifically designed and manufactured to serve network applications where an extremely accurate and stable frequency reference signal is required. 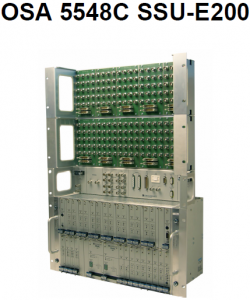 Based on the latest technology, the compactly designed OSA 3230B generates a superior and highly reliable ITU-T G.811/Stratum I synchronization signal for advanced applications in telecommunication networks. 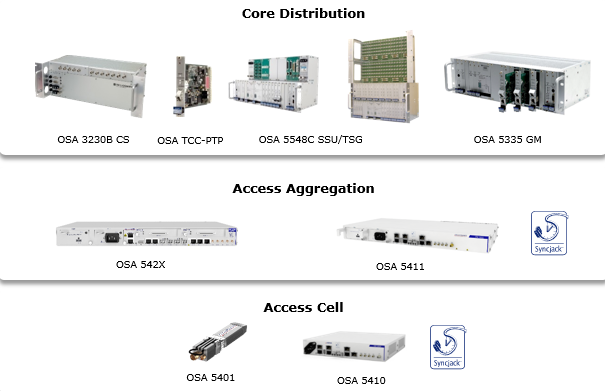 The OSA 5548C SSU is a timing/signal regenerator/distributor housed in a 6U subrack 19” or ETSI equipped with convenient front access plug in cards with optimized grouping of functionalities. 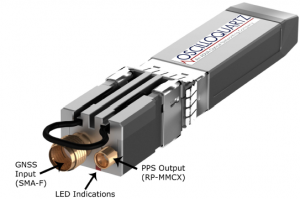 It is the most compact and high performance unit available on the market today for the synchronization of mobile and fixed telecommunication networks. All cards may be duplicated for full system redundancy from the inputs to the user outputs by simple insertion of a second adjacent card for 1:1 functionality protection. 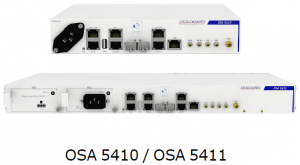 The OSA 542x is a small footprint, cost effective synchronization delivery and assurance device that brings the power of SyncJack/Syncprobe to any network. The OSA 5225B is an accurate time center, easily configurable with its outputs and dual synchronization inputs (such as GPS, NTP, IRIG B AC, IRIG B DC) and dual power supply (230/115VAC and 20-60VDC). 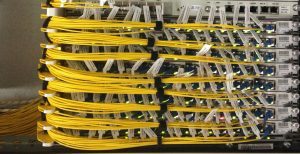 Supply of fiber cables and accessories (connectors, patch cords, distribution boxes, termination boxes, racks, and panels). Supply all kinds of ducts and sub‐ducts, manholes, and hand holes. Process Baladia permits for civil works. Design of optical fiber infrastructure. Execute all types of civil works with regards to the fiber network. Supply and installation all indoor equipment with regards to FTTX networks. 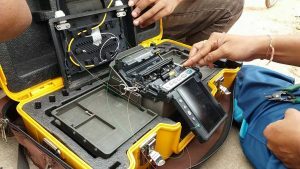 Splicing testing and commissioning of fiber optic cables. Installation of joint closures, ODF cabinets, and indoor installation. In‐house wiring installation and fiber network setup. BI ( Basic Instrumentation ) : General measuring instruments for generating and test the signal in both domain (Time , frequency, and Mixed domain ). DIGITAL OSCILLOSCOPES–WAVEFORM GENERATORS– spectrum analyzer - SPECTRUM ANALYZERS- RF SIGNAL GENERATORS-DMM- PWs. Optical test equipment: Devices and test solution for: fiber system characterization – light wave system – radar and micro wave application : - Fiber test : A- Field & Portable Network Testing : OPM-OPL-Fiber inspection - OTDR- OSA B- Monitoring solution : FTTx – Broadband –network. 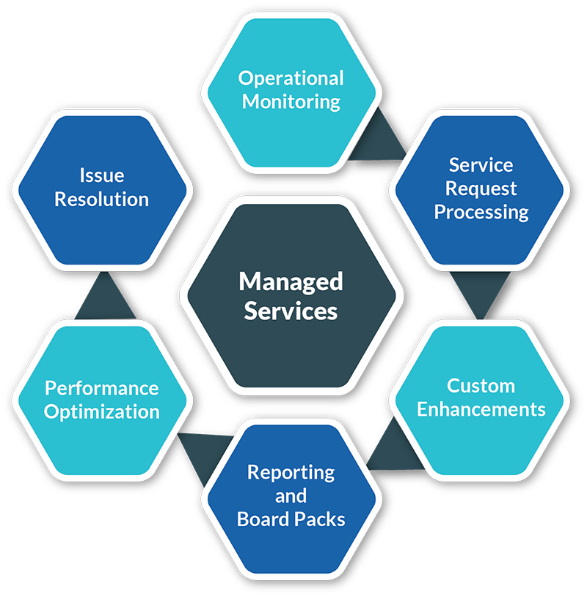 Our Managed Services typically include establishing, operating and managing day-to-day operations of a telecom operator’s network, services, and business support systems. RB tech will help the customer to keep their business up and network available for monitoring and management of our Systems, this will Improve processes and efficiency of the customer network. Consulting services in Plan and design – planning, optimization and network development. Monitor, notifying the customer of any issues affecting the network performance. 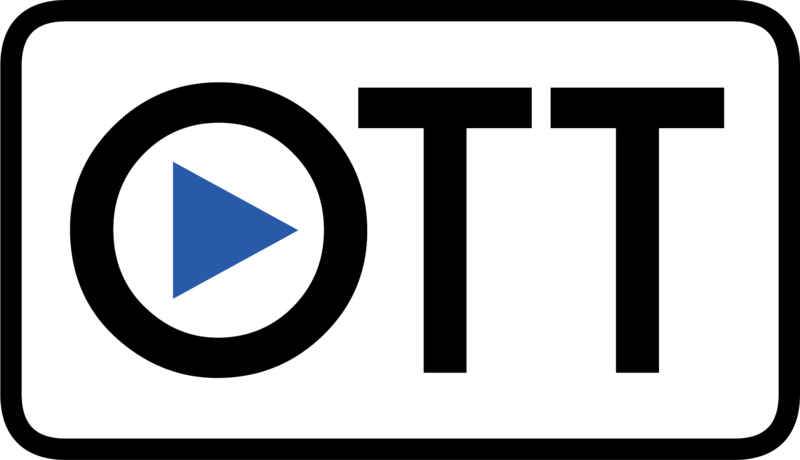 Operate day-to-day operations such as operation and maintenance of networks, services, and business support systems. First and Second level technical support. On-Line technical support for NE and NMS 24X7 fully managed operations & reporting. Send a specialize engineer to repair our hardware at the customer’s premises. Knowledge base transfer to customer staff. Service reliability and redundancy with SLA protection guaranteeing high availability. RB Tech Telecom division delivers integrated solutions for a range of different market sectors, by successfully integrating the latest technology products and solutions. We provide a wide range of Telecom solutions and services fulfill the various needs of corporations and telecom operators Our technical knowledge and tremendous experience of networks and telecommunications, ensure that all distinctive applications operate smoothly together as one total solution. 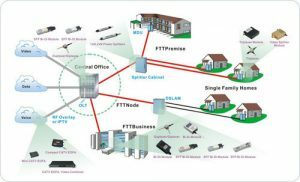 Remote Fiber test system – RFTS. Radio Communication solution for Business & Government sector. Network performance and Trouble shooting. IVR and call Center Monitoring. Mobil Virtual Network Operator Monitoring.